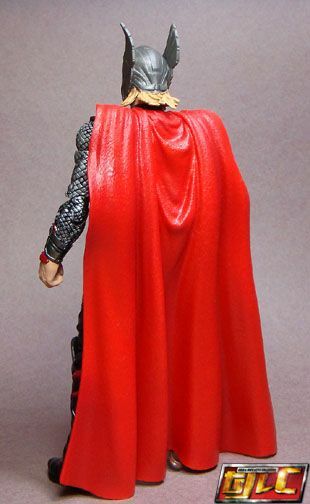 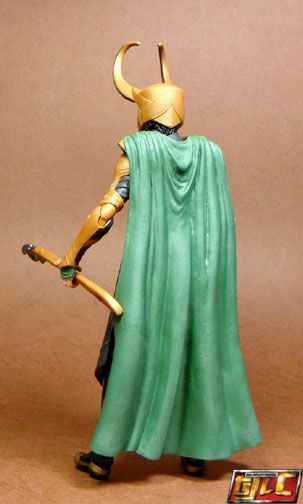 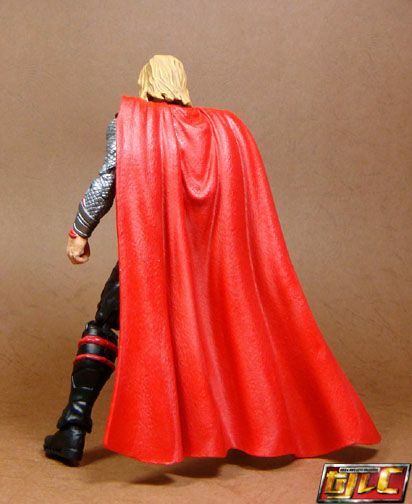 I love the detailing on Thor’s cape. 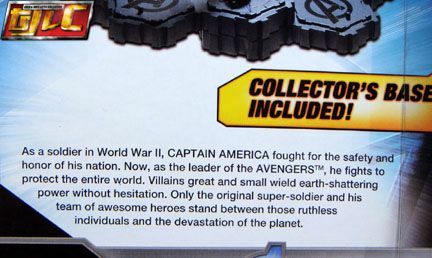 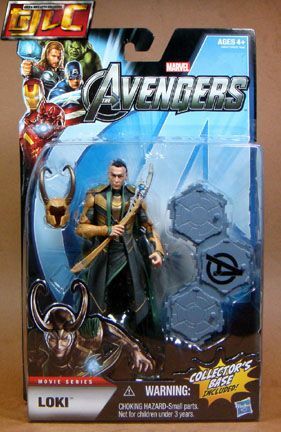 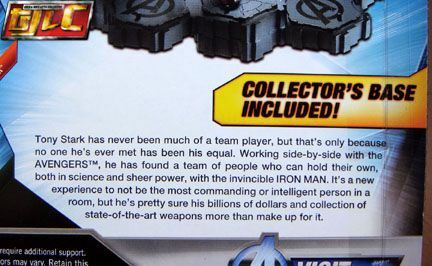 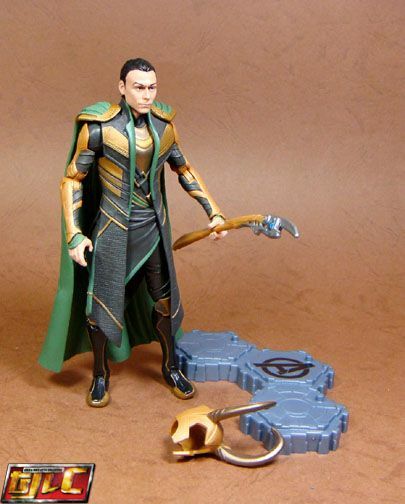 Too bad his hammer doesn’t have any inscriptions etched on it. 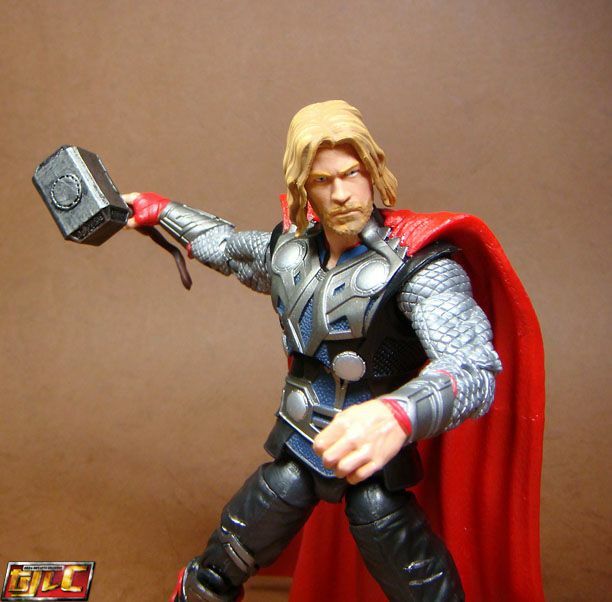 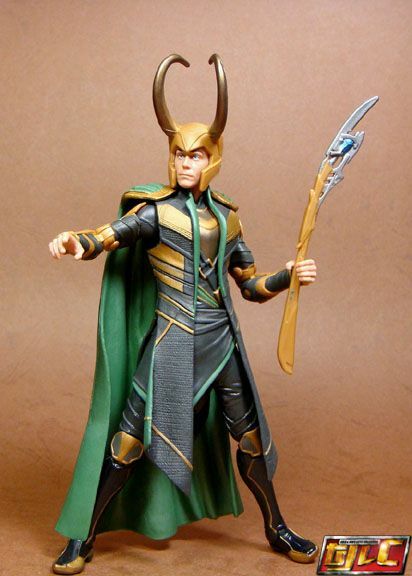 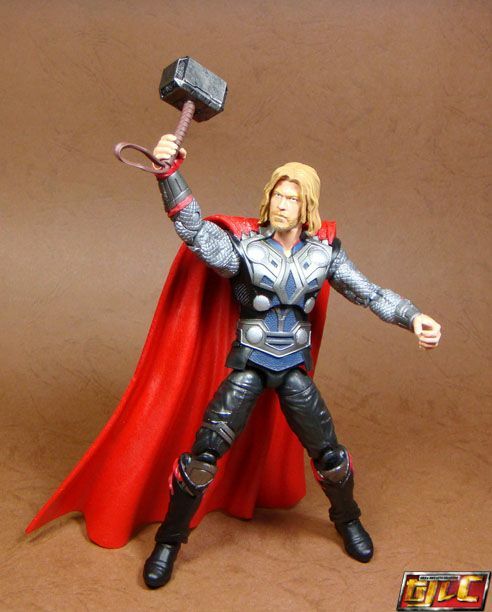 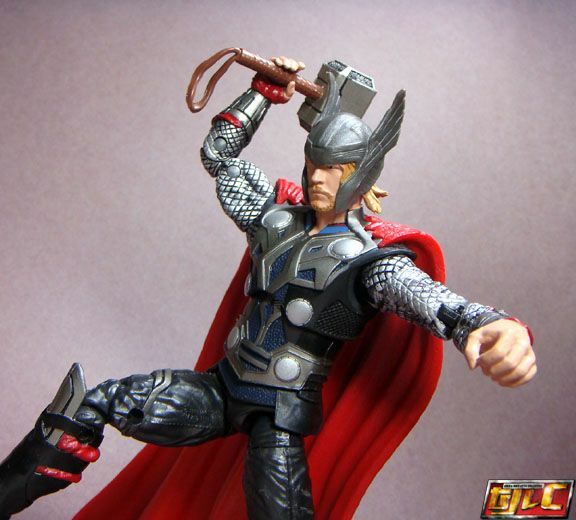 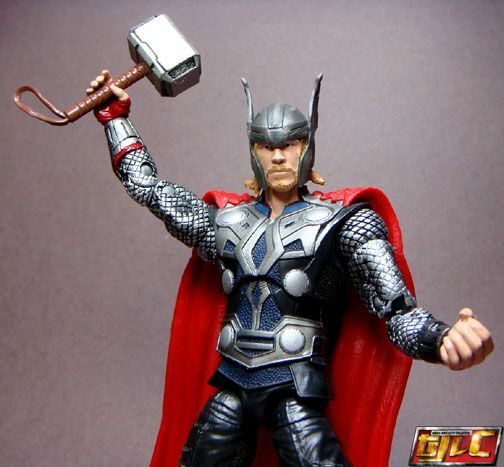 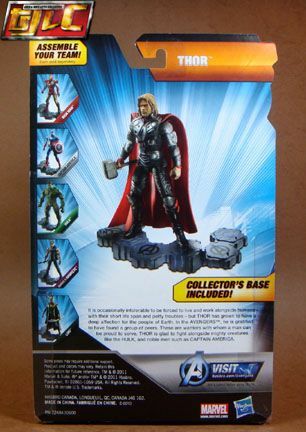 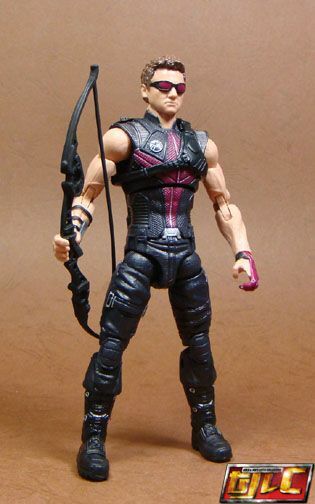 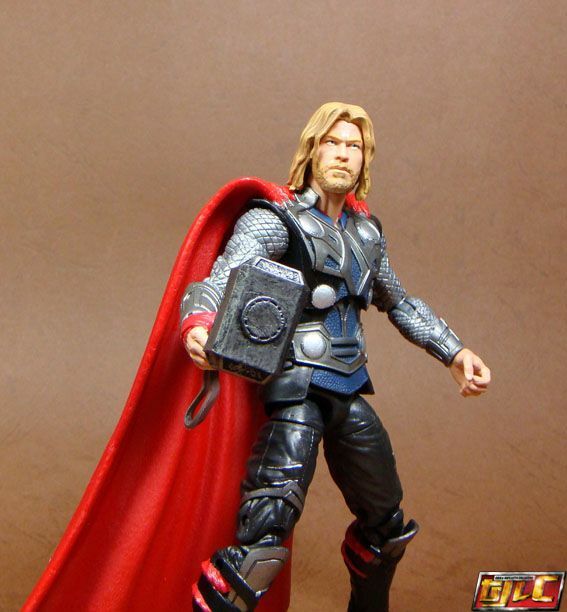 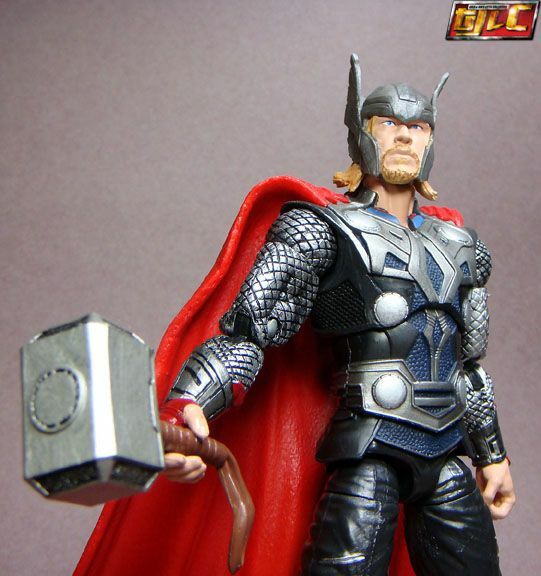 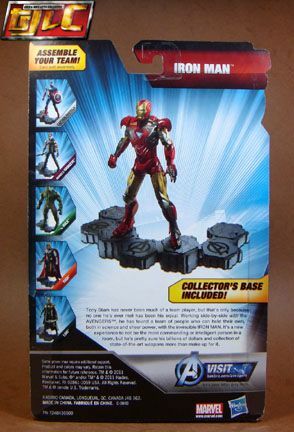 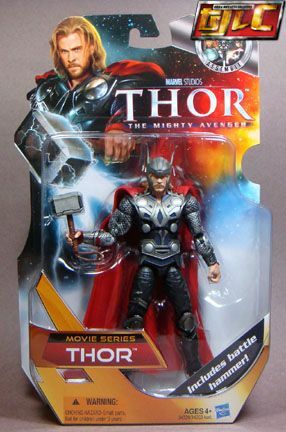 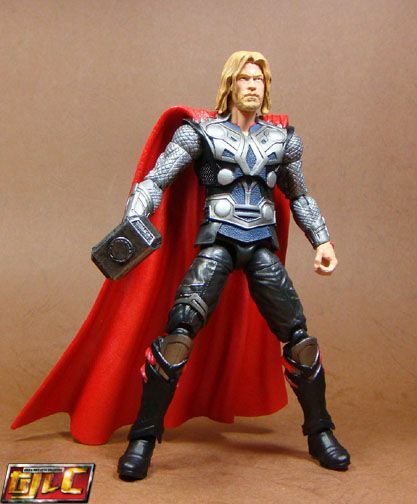 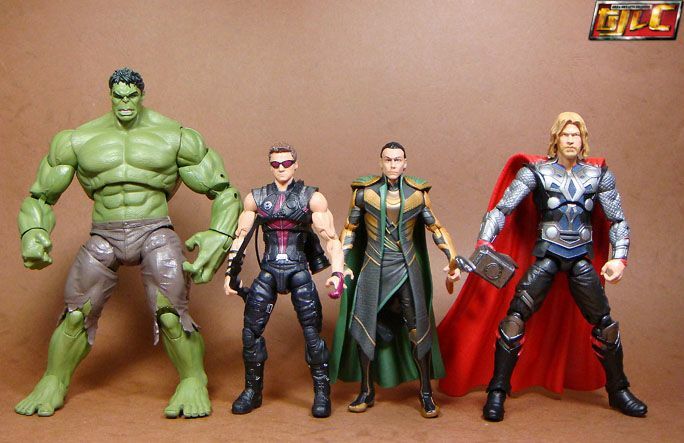 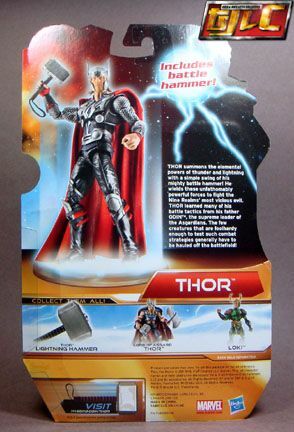 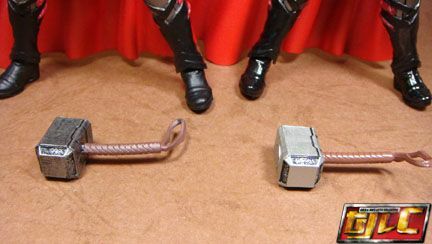 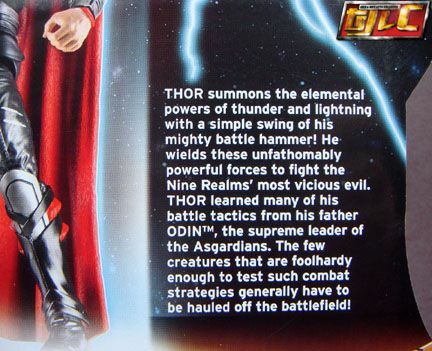 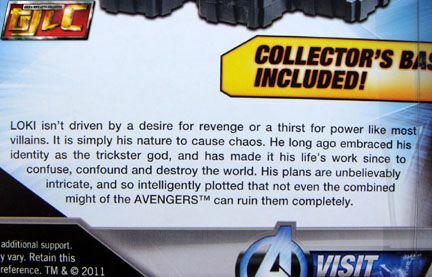 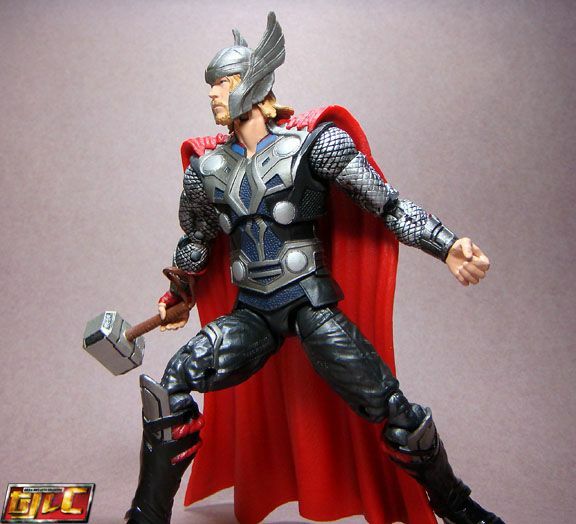 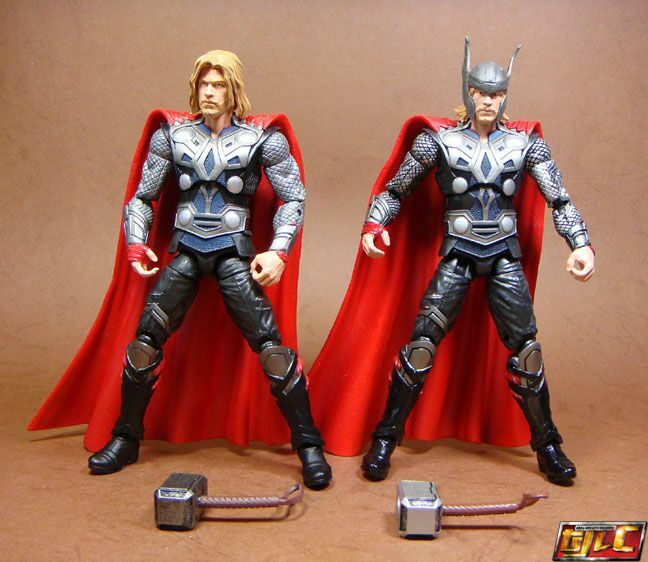 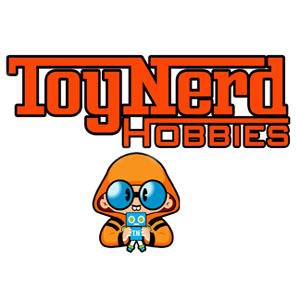 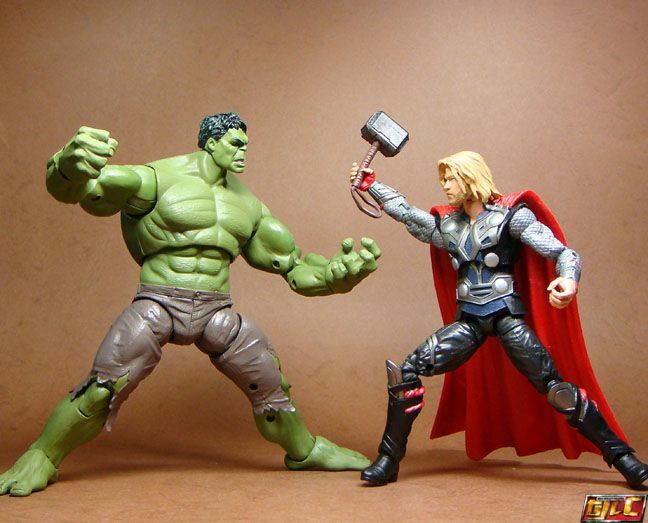 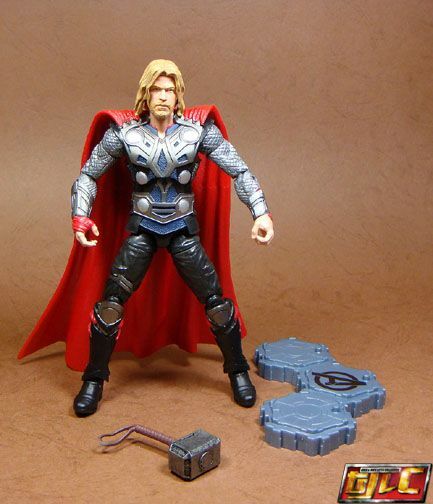 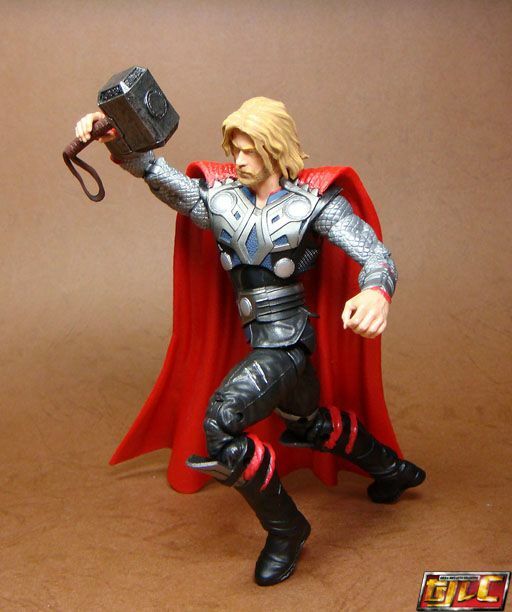 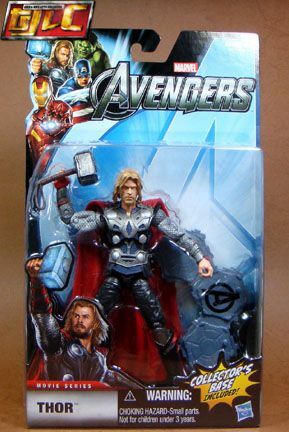 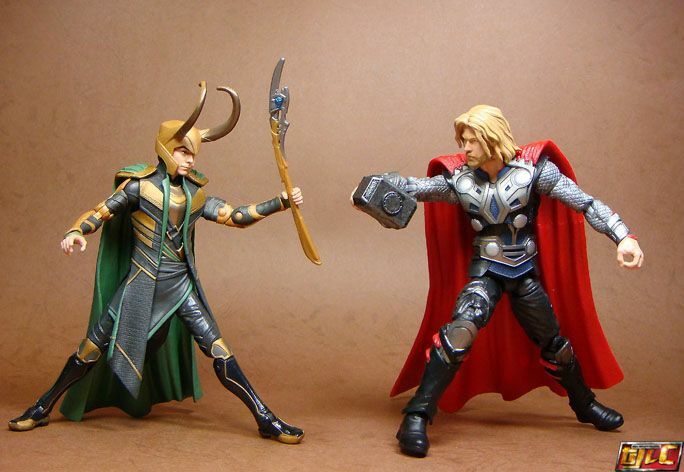 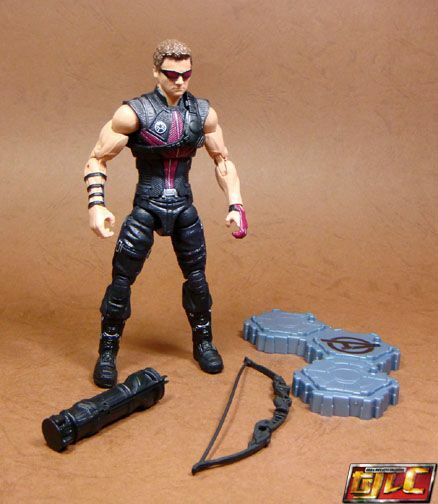 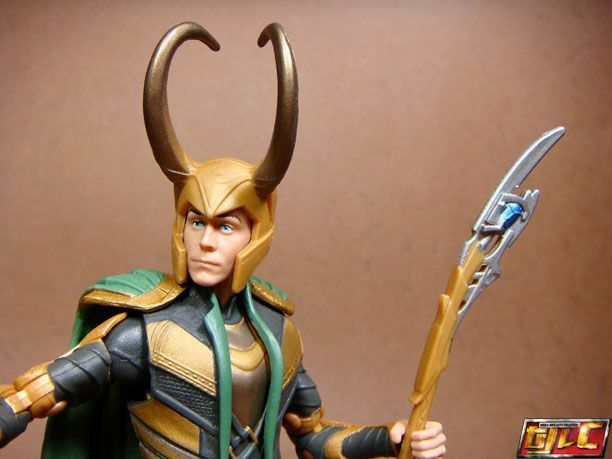 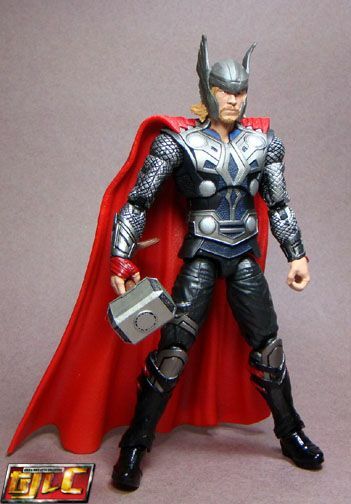 I really hope Hasbro releases a “Helmetless” version of Thor soon. 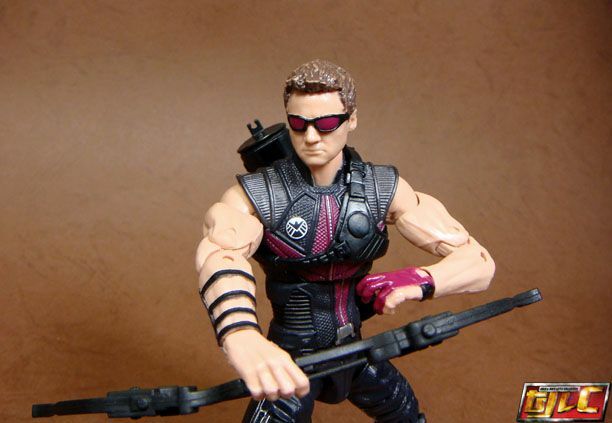 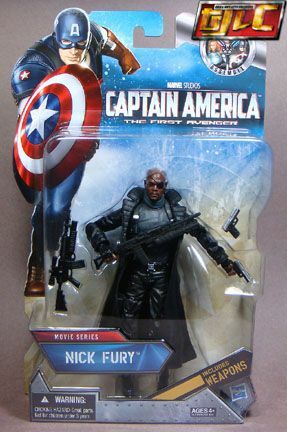 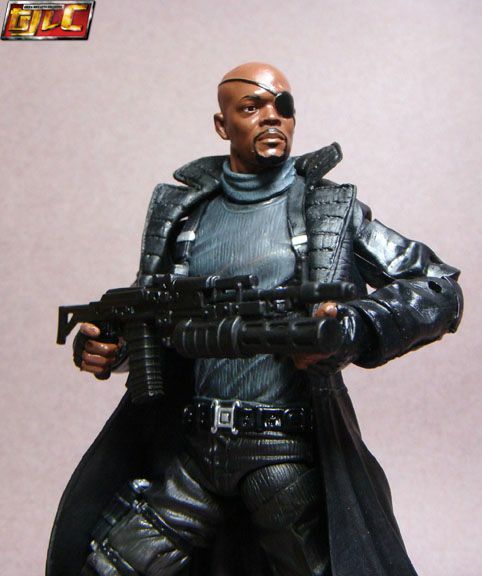 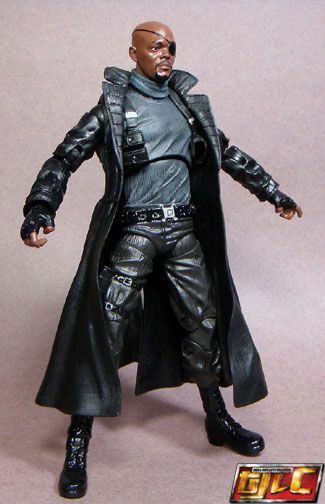 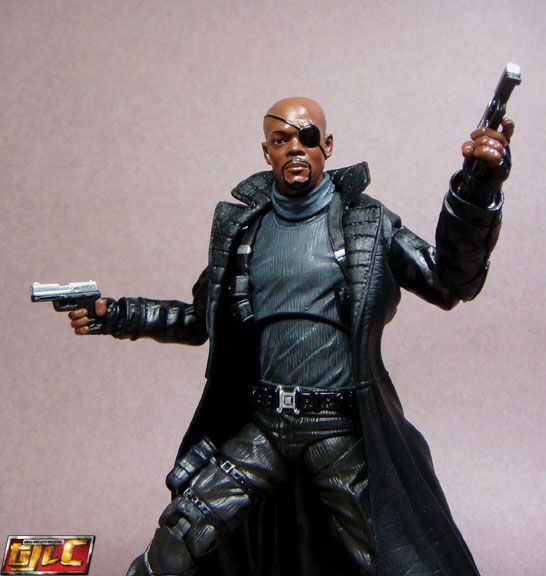 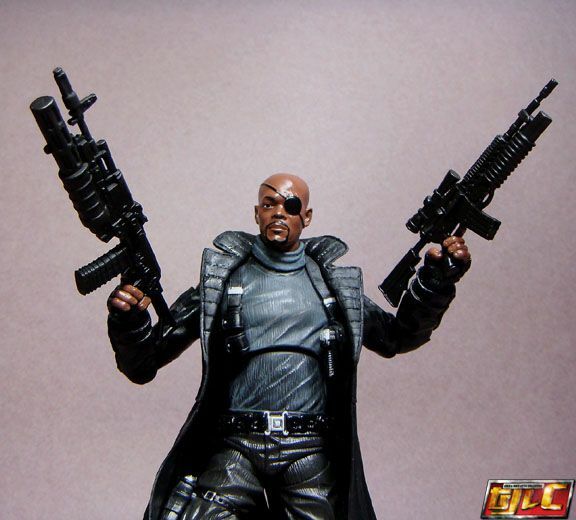 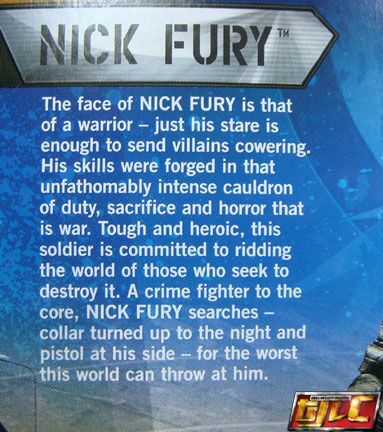 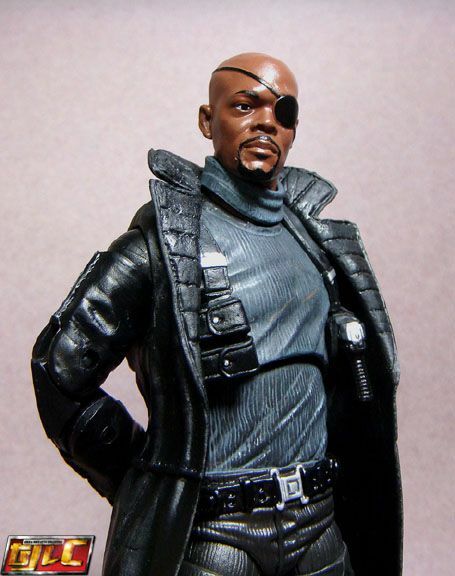 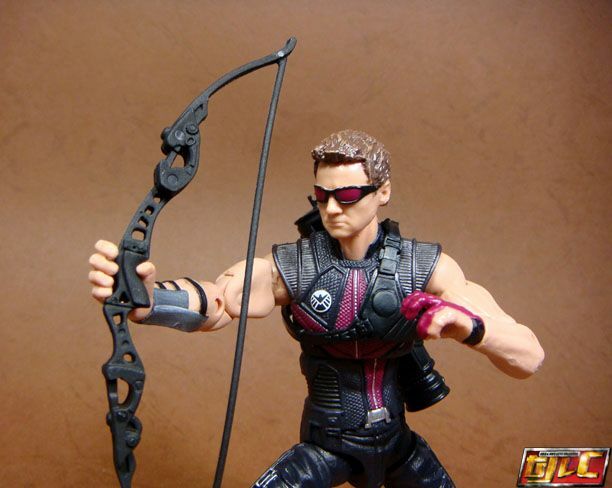 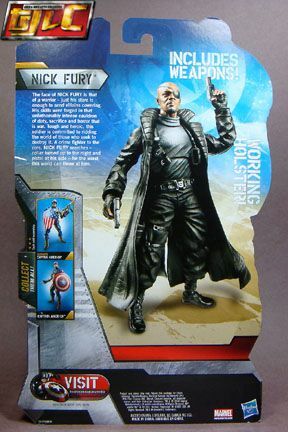 Except for the Samuel Jackson-esque headsculpt, the body is generally from the previous Comic styled Nick Fury from the 2pack. 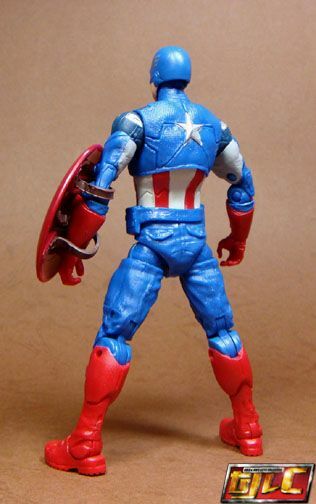 As much as I want to love this figure, there seems to be something “off” about it, I can’t tell if it’s the thick waist or the unimpressive headsculpt. 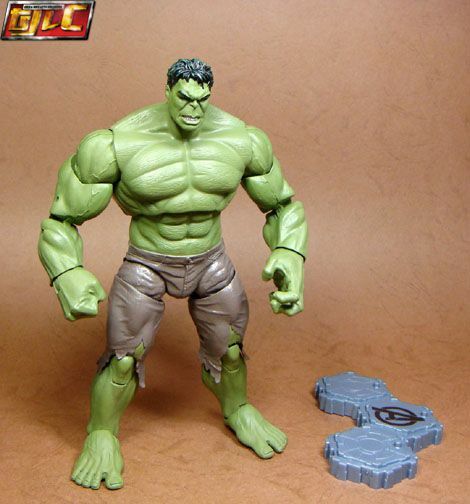 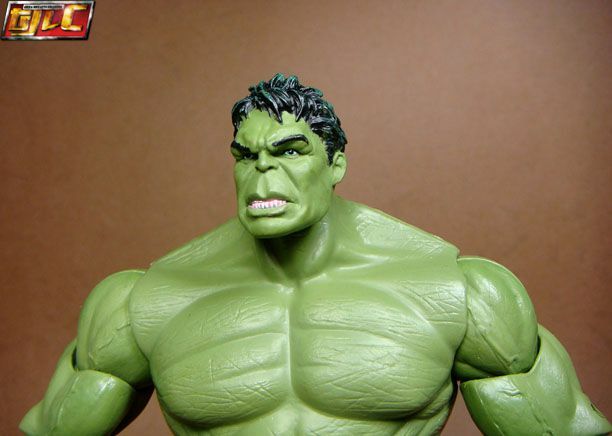 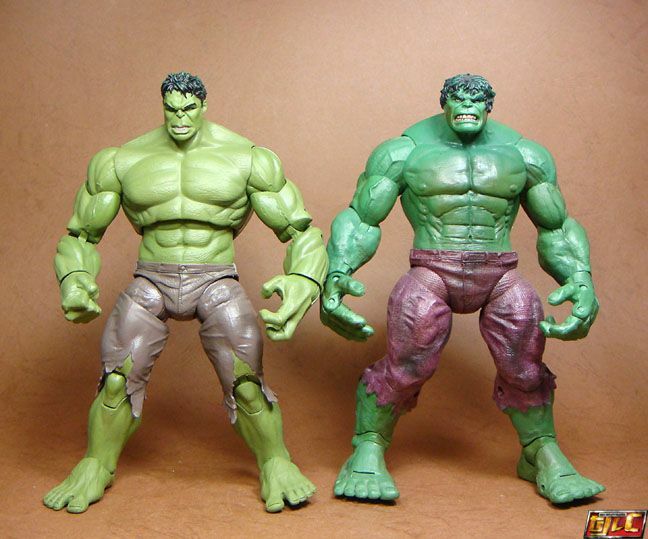 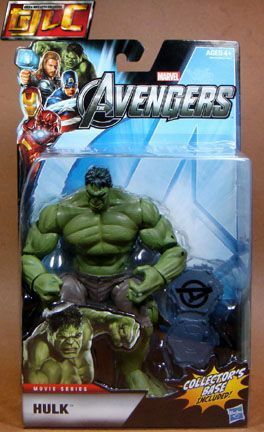 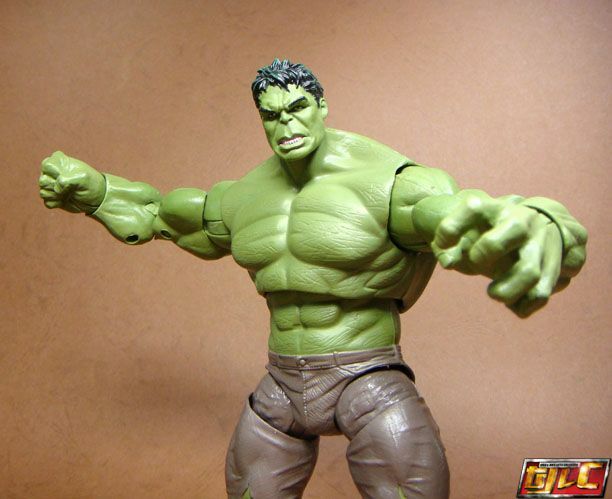 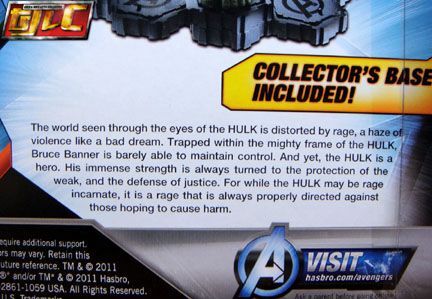 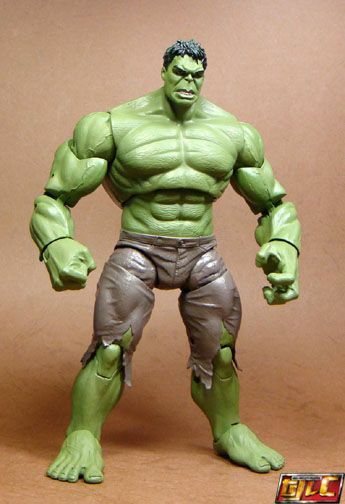 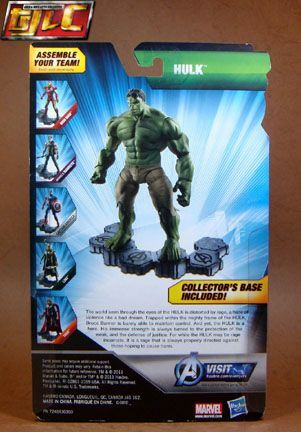 Is it just me or does anyone else see aspects of Mark Ruffalo’s face on the Hulk? 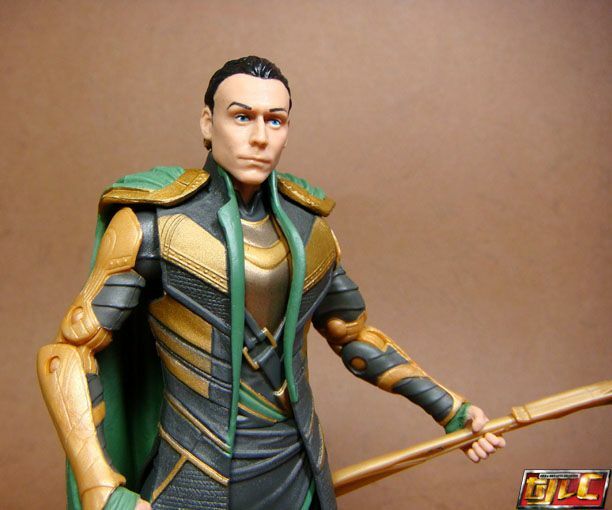 I think it’s nice that they incorporated it into the CGI design. 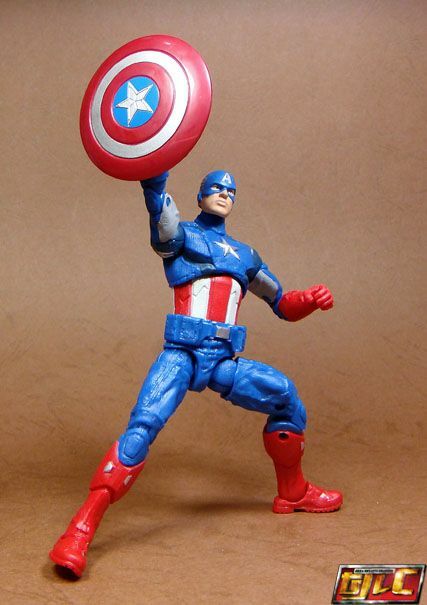 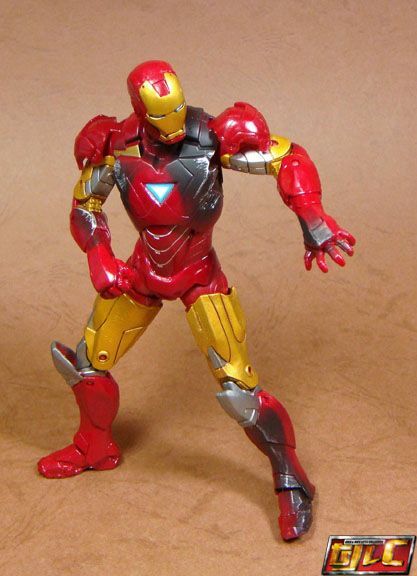 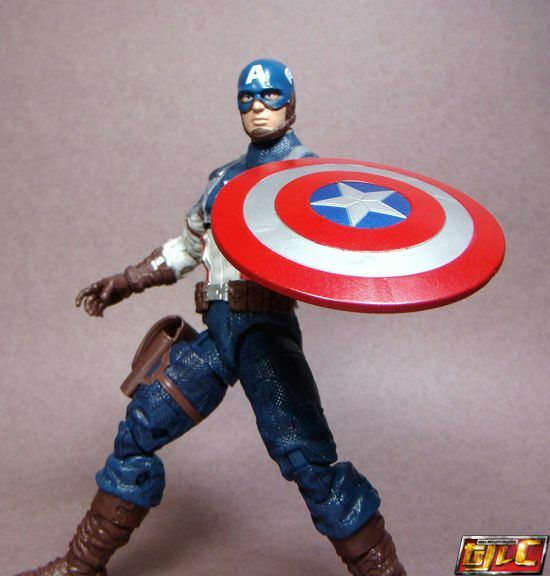 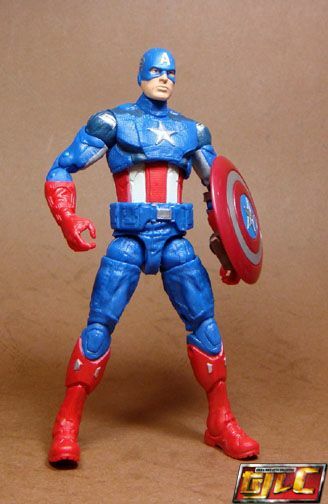 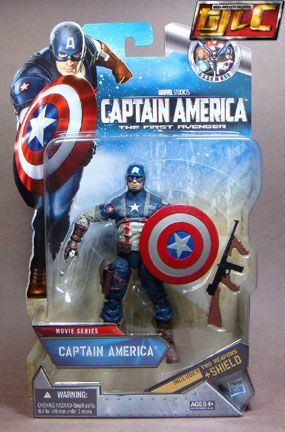 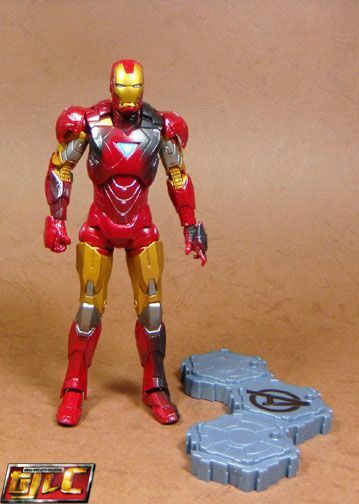 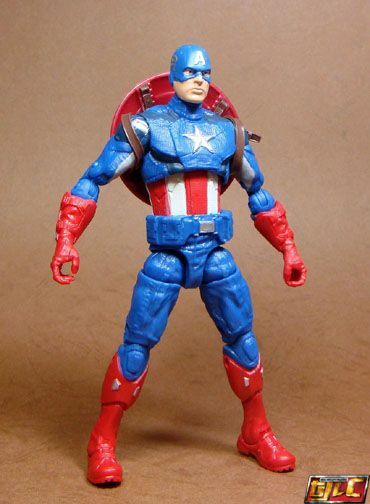 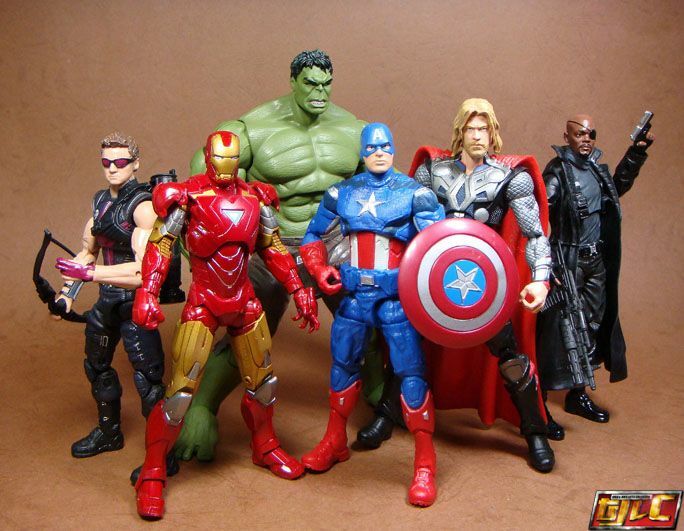 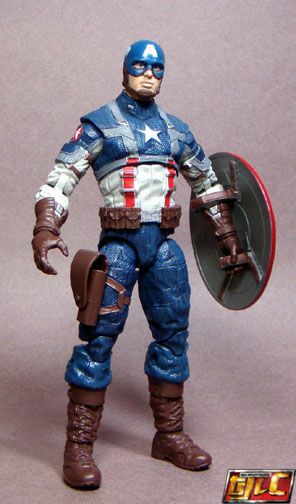 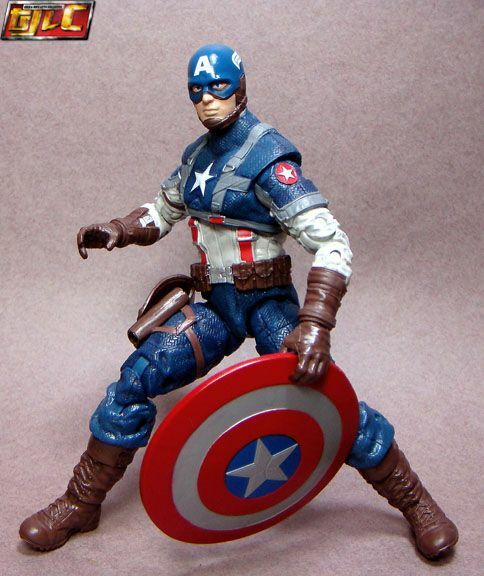 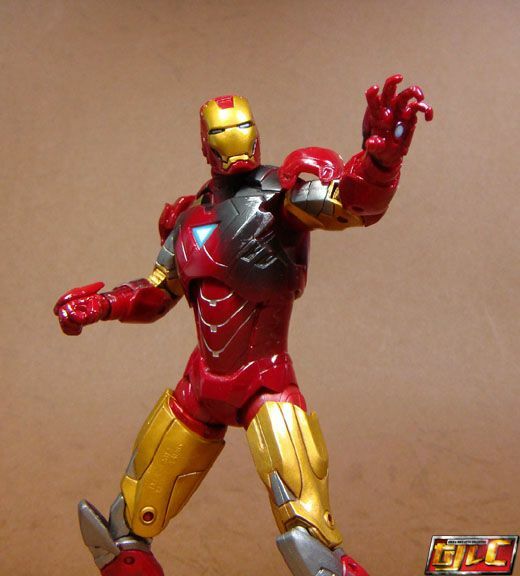 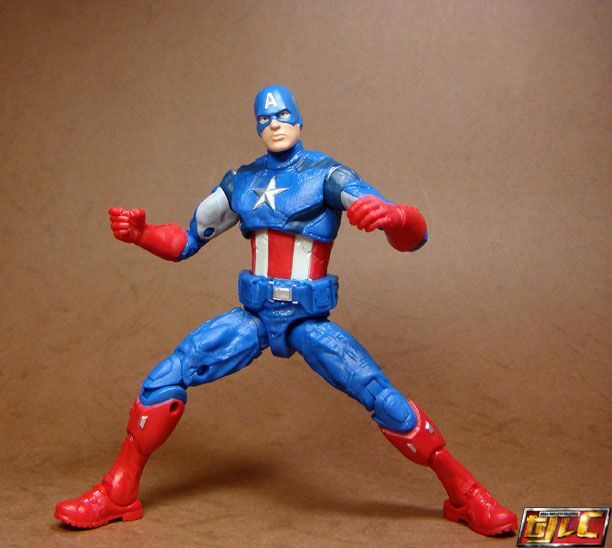 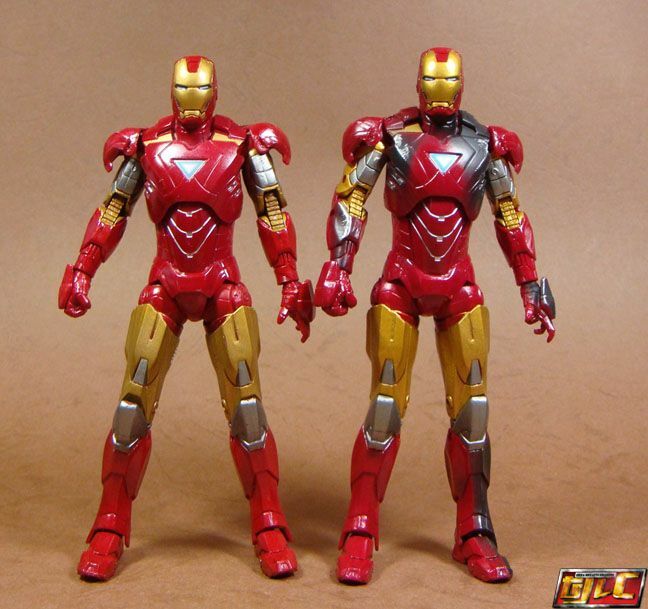 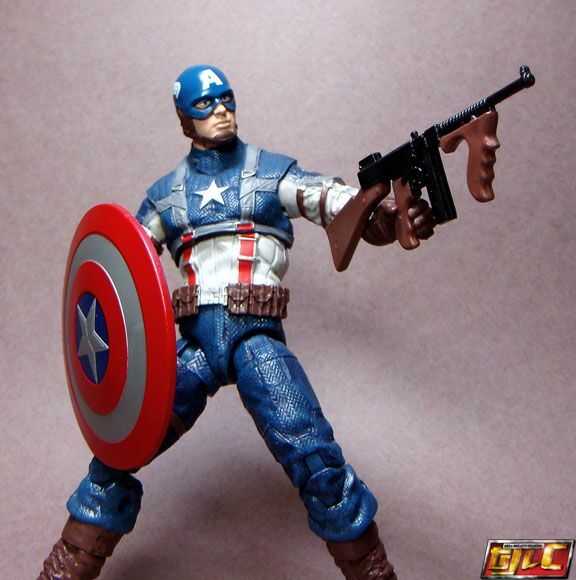 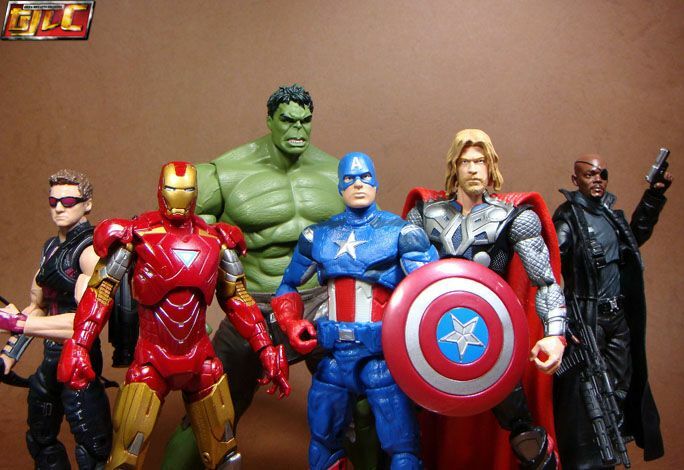 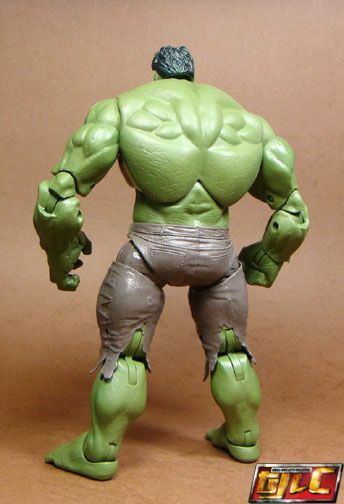 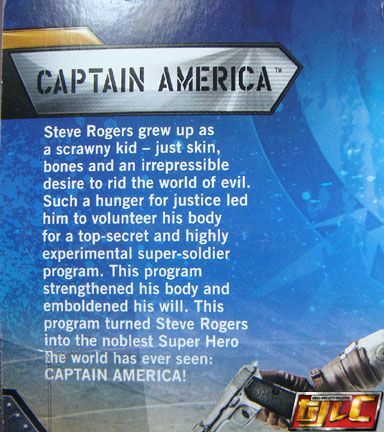 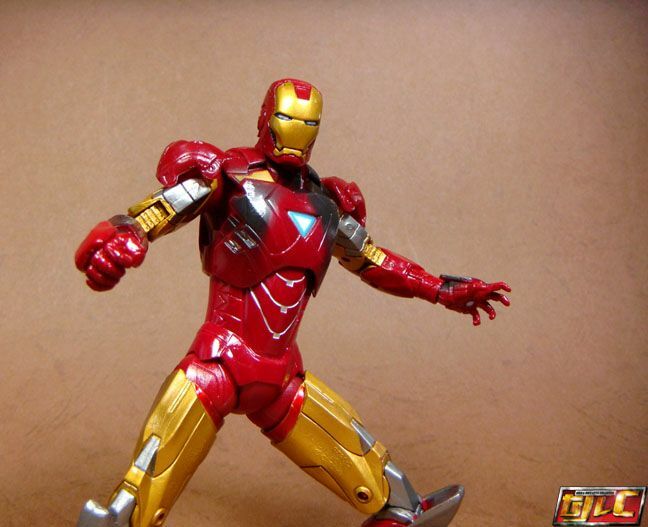 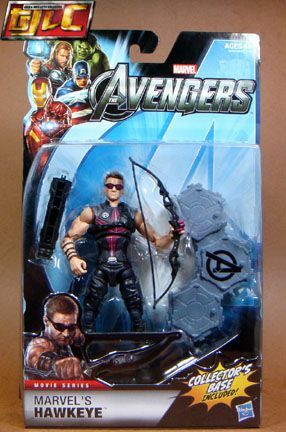 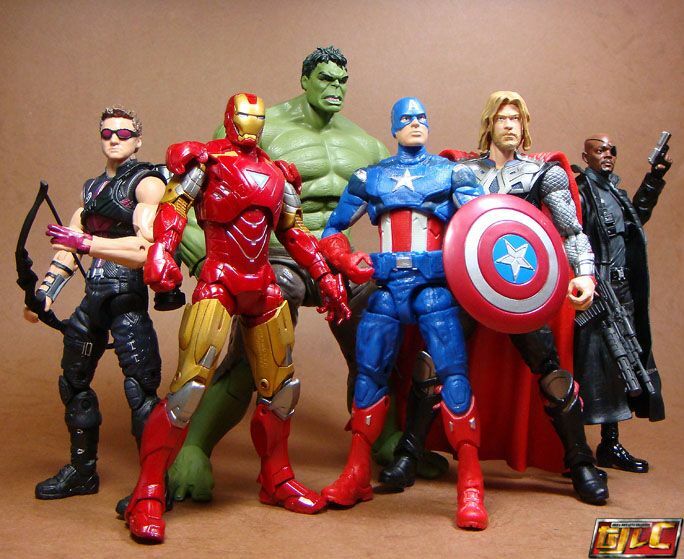 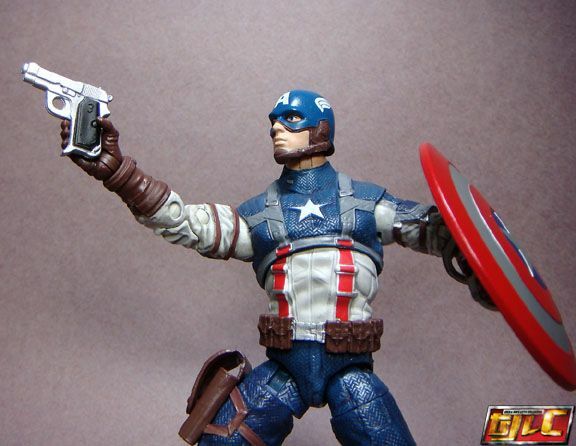 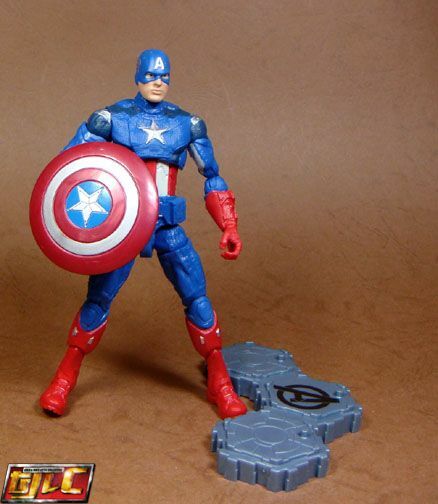 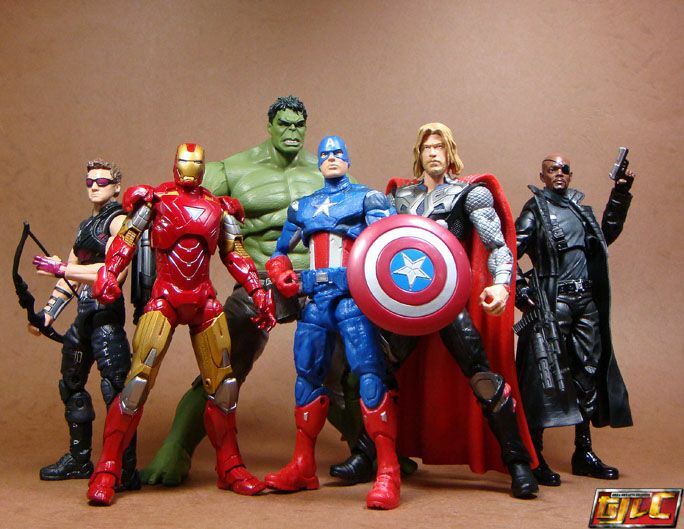 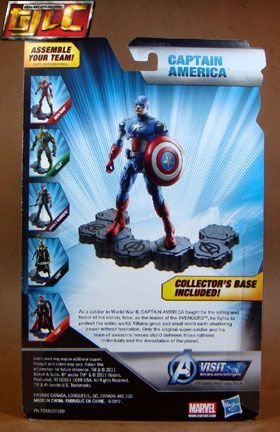 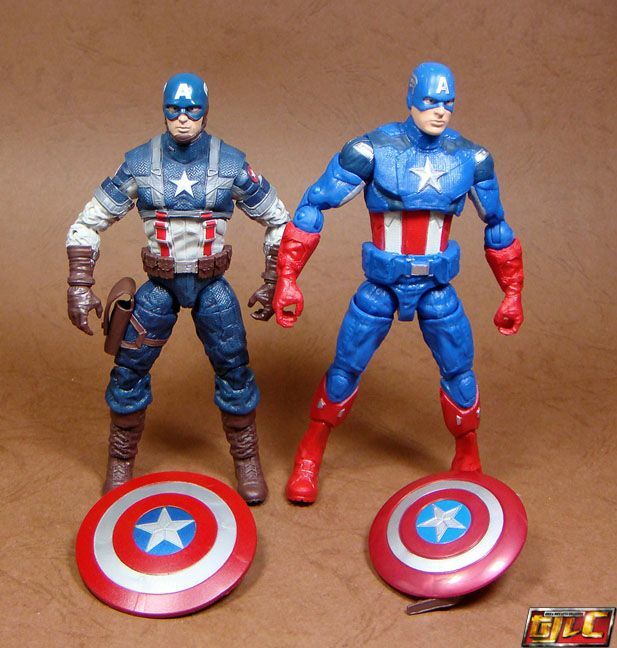 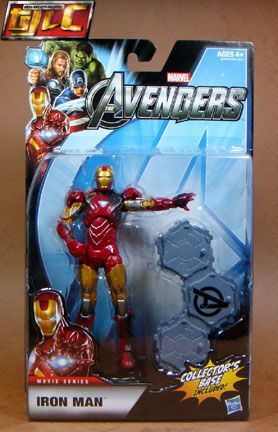 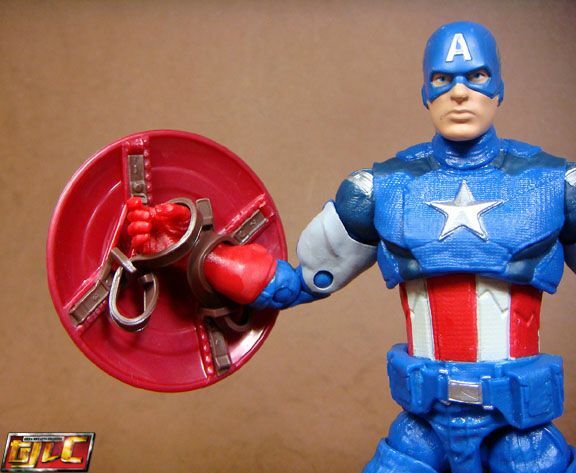 Cap looks better than the movie version in terms of sculpt and proportion. 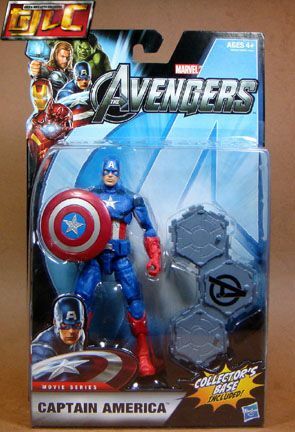 I just wish they kept the shield. 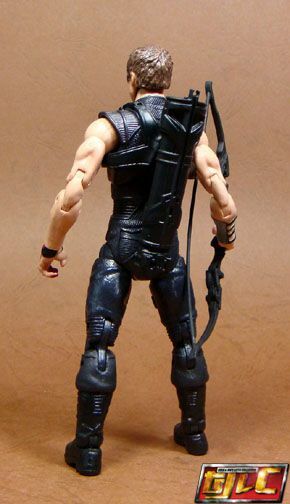 I can’t say I like the long straps on the new one. 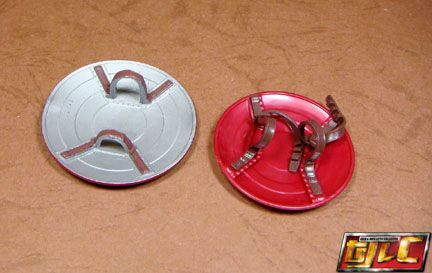 I prefer the garter bands from the Face Off Cap. 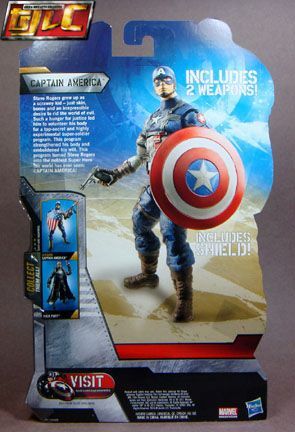 The shield is also smaller in diameter than the movie version. 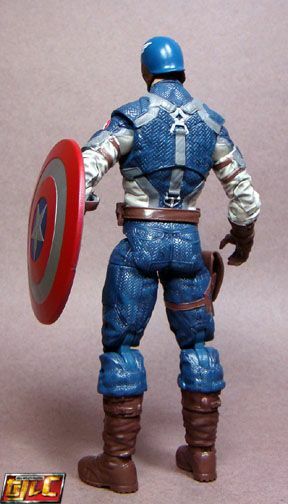 The sculpt feels off somehow. 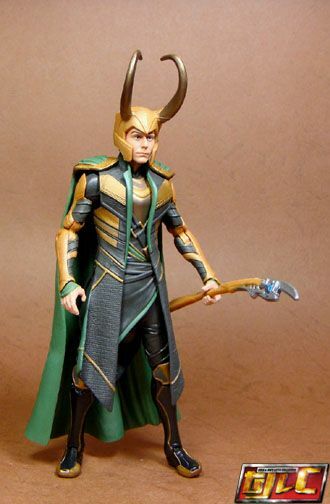 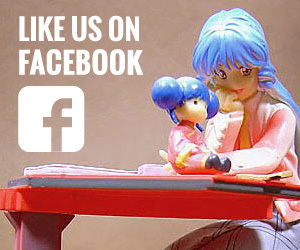 Too innocent-looking?